Women who received this minimally-invasive treatment also had a slightly lower need for additional treatment than those who underwent surgery. UFE is a minimally-invasive treatment for uterine fibroids that is less painful, preserves the uterus, and allows women to get back to their lives sooner than surgical options. However, past research suggests US women, a majority of whom will experience uterine fibroids by age 50, are largely unaware of UFE despite more than 30 years as an evidence-based treatment. In the retrospective cohort study, researchers analysed treatment outcomes of 950 uterine fibroid patients from 1 January 2008 through to 31 December 2014. 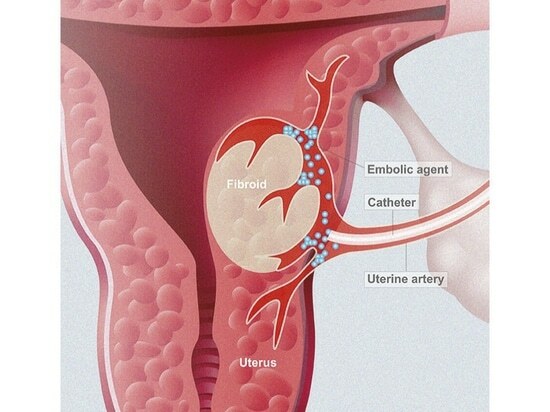 Half of the patients underwent UFE, a non-surgical treatment that eliminates the blood supply to fibroids, causing them to shrink or disappear. The other half were treated surgically through myomectomy, a procedure that removes existing fibroids. After an average seven-year follow up, the study found that women who underwent myomectomy had a higher rate of post-procedural complications, including a 2.9% rate of blood transfusion, which was significantly higher than the 1.1% rate for those who were treated using UFE. Patients in both treatment groups demonstrated a significant increase in haemoglobin one year after the initial procedure due to reduced bleeding. The two methods were comparably effective based on the rate at which secondary interventions—including UFE, myomectomy, and hysterectomy—were needed. Second interventions were completed in 8.6% of women who received an initial UFE compared to 9.9% for women who initially underwent a myomectomy. This study also showed similar rates of miscarriage for women who underwent either UFE or myomectomy. Future research should explore the impact of all uterine-sparing fibroid procedures on pregnancy, which remains still poorly understood.